Salman Khan is in lead role on Race 3 movie which triggers that this film going to be blockbuster in this June and maybe also in this year. 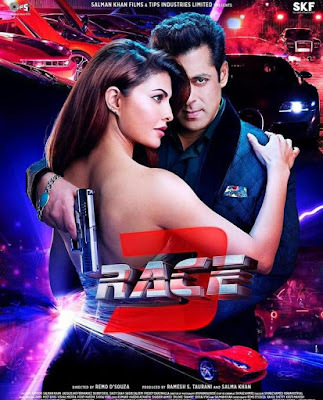 The previous part of Race movie "Race" and "Race 2" was done by Saif Ali Khan and those films were also got success according to box office collection. According to bollywoodlife.com, the narration of Race 3 is highly engaging and will keep you hooked till the interval. They also said that before interval in this movie there is a huge twist and turning point where some huge characters revelation occurs and make you thirsty for the climax. Not only that, Salman Khan's shirtless scene with Bobby Deol is in the limelight since release of the Race 3 trailer. For the information seeker Bobby Deol playing negative role in this movie. Salman Khan playing role of Rohan Sharma. Anil Kapoor playing role of Shamsher. Bobby Deol playing Darshan Thakre. Saqib Saleem playing Ashray Mallik.